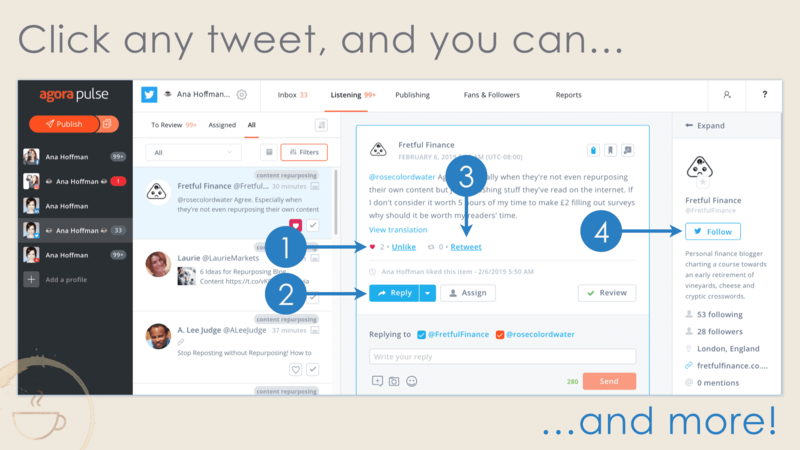 Want to omnify your Twitter presence? Get more Twitter followers? In search for the best follow/unfollow Twitter tools to help with your coup d'Twitter? ????? Do You Really Need Twitter Automation Tools? What About Twitter against Automation? Is Twitter Still Worth Its Marketing Salt? Twitter, the former golden child of social media, took a huge nosedive, no question about it. The good news is it didn’t roll over and give up. For more on Twitter demographics, take a look at Top Twitter Demographics That Matter to Social Media Marketers. Twitter is now CONSISTENTLY profitable (Q3 2018, source) – good news for Twitter, its users, and those of us who’d like to reach those users. Twitter showed a 50% increase in ad engagements (2018, source) – if you have cash to spare, this might be the right place to spend it! I was chatting with Chris Brogan the other day… somehow, we ended up talking about Twitter, and he told me that Twitter is his #4 traffic source! Yes, Chris finds it ‘weird’ that people don’t think much about Twitter as a great website traffic driver. Bottom line is Twitter marketing DOES work. “Will it still work tomorrow though?…” some might ask. What if all your Google search engine traffic disappeared tomorrow? Would you stop optimizing your site for search engines? Oh, wait… that’s called ‘algorithm updates‘! ? Traffic from Google is the very definition of ‘here today, gone tomorrow‘ kind of traffic; yet here we are, knocking ourselves out to get it! And what about Facebook and its ‘zero reach‘ for business pages? Did you put a lid on your Facebook marketing, despite the fact you are barely reaching your audience? Exactly. Successfully marketing your business is about reaching your ideal audience where it is TODAY, right NOW. If you don’t, you bet your competitors will. That’s exactly why I am such a huge proponent of content repurposing, by the way. Twitter automation tools to Twitter marketing are what cookies are to milk. Sure you can have one without the other, but… why would you? Together, they simply make sense.
? at the end of the rainbow. ? What Should You Automate on Twitter? The latter, engaging and interacting with your Twitter followers, is best left to a human – YOU. The former, growing the number of your Twitter followers, is what you should be using Twitter automation tools for. How Exactly Do You Get More Twitter Followers? There you have it. The key to successful Twitter marketing. Go do it. Some might say that all you need on Twitter is love, and followers will… well, follow. Sure you can rely on your established name/brand/quality content to wait for Twitter followers to come. While being interesting on Twitter (an attention-grabbing bio, profile pic of YOU, useful to your potential Twitter followers content, being present and engaging with Twitter users) is a must, what you and I are interested in today are the mechanics of getting more Twitter followers. Introduce yourself and your quality content to as many potential Twitter followers as you think might be interested in your message, in other words. Your next order of business is to knock on neighbors’ [Twitter users] doors to introduce yourself [follow them]. If they are home [active Twitter users], chances are they’ll answer the door to see who’s there [check out your Twitter profile]. If they like what they see [your Twitter content is right up their alley], they will want to stay in touch [follow you back]. If, on the other hand, they aren’t home [inactive Twitter users] or decide you aren’t ‘their people’ [you/your content aren’t of interest to them], they’ll do nothing. In that case, you might as well scratch them off your friendly neighbors list [unfollow them] and move on. Following and, yes, unfollowing Twitter users is the key to growing your Twitter following. Plenty of Twitter purists would strongly disagree with that, but hey, they aren’t the ones in need of a smarter Twitter marketing strategy – you and your business are. This seems to be a good time to address the elephant in the room: Twitter Rules and Policies. What About Twitter and Its Stand against Automation? Naturally, you don’t want to have your Twitter account suspended by pushing the automation envelope too far. While you should read through Twitter Rules and Policies yourself, here are the important things to know as far as Twitter automation goes. Don’t follow or unfollow Twitter users in a bulk, aggressive, or indiscriminate manner. Twitter monitors users’ accounts for aggressive following and follow churn (repeatedly following and unfollowing large numbers of other accounts). Of course, they don’t tell you what they consider a LARGE number of other accounts, but they do talk about aggressive following a bit. Aggressive following is defined as indiscriminately following hundreds of accounts just to garner attention. However, following a few accounts if their accounts seem interesting is normal and is not considered aggressive. Aggressive follow churn is when an account repeatedly follows and then unfollows a large number of accounts. This may be done to get lots of people to notice them, to circumvent a Twitter limit, or to change their follower-to-following ratio. I don’t want to beat around the bush here. ‘Circumventing a Twitter limit’ (see below) and ‘changing your follower-to-following ratio’ (see below) is EXACTLY what you have to do to grow your Twitter account. So… be reasonable. Don’t follow hundreds of accounts. Daily. Act like a human. ? You are allowed to follow 5,000 Twitter accounts total. Then what? Once you’ve followed 5,000 accounts, it gets tricky. You can’t just continue to follow more Twitter accounts as you please. From this point on, Twitter will start limiting the number of people you can follow, and that limit (referred to as Twitter limit) is based on your ratio of followers to following. Why? Twitter doesn’t want you to follow, say, 10,000 people if only 100 people follow you. The good news is, when you hit your follower limit, Twitter will be good enough to tell you that by displaying an error message in your browser. The bad news is it doesn’t say much about how that Twitter limit is determined. Reducing spam on Twitter is something you and I are very much for, aren’t we? Rumor has it (the kind of ‘rumor’ that’s been observed to work again, and again, and again) that Twitter will let you follow 10% more users than the number of your followers. In other words, if you are following 5,000 people, you’ll have to wait until the number of your followers grows over 4,500. Once that number is 4,600, for instance, 10% of 4,600 is 460. Now add 460 back to your existing number of followers (4,600) and your allowable Twitter following limit is now 5,060. Why is this important to know? Because you could be waiting forever until the number of your Twitter followers catches up with the number of people you are following! Thus, unfollowing Twitter users becomes a necessity, NOT an option. What about third-party applications promising to “get more followers fast”? offer to automatically add followers to your account. Twitter is absolutely right: DO NOT use those kinds of Twitter tools. Not only do they violate just about every Twitter rule, but they often add followers with abandoned accounts or bot accounts that are not reading your updates. Bots don’t make very good customers! ? Another type of automation tool Twitter is definitely against is the fully automated kind. Tweet Adder and Social Quant were good examples of those. Tweet Adder and Social Quant were the tools I and many other Twitter users relied on for years to grow the number of followers on Twitter. However, according to the current Twitter API rules, automatically getting more Twitter followers (as in ‘software that follows/unfollows any given list of people completely automatically‘) is no longer an option. That’s why both Tweet Adder and Social Quant, as well as a few similar Twitter tools, were shut down for good. Now that full automation is the thing of the past, the best Twitter tools are those that allow you to target your potential Twitter audience as specifically as possible, plus follow/unfollow Twitter users in the most efficient manner possible. In other words, you are still the one who has to literally click follow/unfollow buttons… ‘manual automation’, if you will. Twitter tools mentioned below are NOT fully automated. They compile user data, you click Follow/Unfollow. You don’t get to pass the buck if caught violating Twitter rules. Meaning, since YOU are the one choosing to use a third-party application, YOU are the one who stands to bear consequences. NOT the third-party application. Exercise due diligence. Do your own research. Use your head; that’s what it’s there for! Getting more Twitter followers starts by finding your target audience on Twitter. Ten engaged Twitter followers who want what you have to offer beat hundreds who could care less. Thus, the first thing you are looking for in the right Twitter tool is the ability to target the right people. For instance, if you want to ‘steal’ your competitor’s Twitter followers, you can enter @CompetitorUsername and let the Twitter tool pull up the list of their followers. All you have to do then is… follow them! Take me, for instance (@AnaTrafficCafe on Twitter.) I have close to 10,000 followers, but follow only some 130 people. You might, rightfully so, conclude that I only follow people whom I hope to learn from. With this feature, you are able to follow the people I follow. Self explanatory: follow members of any Twitter list! Compile a list of Twitter user who mentioned a specific #hashtag. Once you compile your targeted Twitter user list, follow, follow, follow! You follow Twitter users to peak their interest, get them to look at your profile, then follow you back. They become dead weight. And count against that precious Twitter followers limit… Can’t let them do that! I usually wait for about a week for people to follow me back. Either way, unfollowing them is the sensible (and necessary!) thing to do. Most good Twitter unfollow tools let you sort your followers by whether they follow you, their last tweet date, number of followers they have, etc. If your objective is driving traffic, leads, and sales, then you need to focus on building a meaningful Twitter presence. Otherwise… your time would be better spent elsewhere. HOW do you build a meaningful Twitter presence? By the way, even though I did say ‘No tools required‘ to be present, tools DO help tremendously to manage your Twitter and other social media accounts a lot more efficiently. I use Agorapulse for that; you’ll learn more about it below. FINALLY… onto the best Twitter tools to grow your Twitter presence! The best Twitter tool to get more followers is… the one you might already be using. Like a social media management platform that helps you maintain various social media accounts. Hootsuite. Buffer. Sprout Social. Or Agorapulse, like it is for me. DISCLOSURE: there are several affiliate links in this post. That means that, should you choose to buy a product following one of those links, I will receive a commission from the product creators. Doesn’t cost you a dime, but helps me to continue offering all content at Traffic Generation Café 100% free. At first glance, you might struggle to see how a Twitter tool like Agorapulse could help you grow your Twitter followers; especially when it comes to following and unfollowing users. Agorapulse has a Listening feature that could be used to find your perfect Twitter audience. Using that feature, you can easily find people tweeting about specific subjects or mentioning you. The next screen has the option to Create a new search. You can search by hashtags, multiple words, phrases, or Twitter handles. Click Next when done. Now that your search is saved, back to the Dashboard you go. From there, click Filters, then specify the saved search results you’d like to see. Click any tweet and you’ll see options like liking, replying, opening it in Twitter, and yes, following that person. Extremely targeted, easy, and efficient – now you see why I love Agorapulse so much! ?? If you are already using a social media management platform, look for a feature similar to Agorapulse Listening. If not, I highly recommend you check out what Agorapulse can do for your business. And, by the way, Agorapulse is 100% Twitter compliant. A bit of a drawback is that you can’t unfollow Twitter users with Agorapulse. If unfollowing is something you are planning on doing, you should look into one of the Twitter tools below. Wow… just as I was about to recommend ManageFlitter as my top follow/unfollow Twitter tool, it was (permanently?) shut down by Twitter for violating Twitter automation rules! Since ManageFlitter is no more, we’ll take a look at Tweepi instead. The very first thing you’ll like about Tweepi is how simple the dashboard is. Tweepi also offers to make your life even simpler (or so it seems) with its personalized Tweepi AI recommendations. Are you going to follow Tweepi AI recommendations or decide what’s good (or not!) for your business all on your own?… ??? Since the features you get with Tweepi depends on your account status (free or paid), let’s talk about that. Tweepi offers a free package in addition to two Premium plans. Tweepi free package is a good way to take the service for a spin. However, I am going to tell you to get a Premium account with Tweepi. I am NOT affiliated with Tweepi in any way; that’s not why I am trying to sell you on it. The reason I tell you to go all in is because I’ve seen one too many Twitter tools disappear into thin air as of late, including the recent demise of ManageFlitter. That’s why you should absolutely take full advantage of Tweepi or TweetAttacksPro (more on that one below), while they are still around. There you have it; I said my piece. Think about it. Then act. Please keep in mind that a Tweepi account can only be linked to one Twitter account. If you have more than one Twitter account, you’ll need to pay a separate monthly fee for each. Tweepi free accounts are limited to following 100 users and unfollowing 100 users per day. For Premium accounts, following is limited to 950 users per day and unfollowing is limited to 500 users per day. If you ask me, 950 and 500 per day is waaaaaaay too aggressive. Proceed with extreme caution. You’ll be presented with the list of Twitter users whom you follow, but who don’t follow you back. You can choose to apply various filters to further narrow down that list. Once you have your unfollow list in place, simply hover over the name, and you’ll see the blue Unfollow button. By the way, if you do test a third-party tool/application that asks you to connect to your account on Twitter (in developer’s terms, that’s called OAuth), that means you give that tool access to your Twitter account. OAuth is an authentication protocol that allows you to approve a tool/application to act on your behalf without sharing your password. And what happens if you no longer use the tool? It will continue to have access to your Twitter account, unless you specifically revoke that access. I strongly suggest you do so. Twitter has been known to terminate user accounts simply because those users, at one point or another, gave access to an app that was later found to be breaking Twitter automation rules and suspended by Twitter – even if they haven’t used the app for years. …then click Revoke access to cut off any unwanted app(s). So, how do you pick the Twitter tool that best suits YOUR Twitter marketing needs? Your risk tolerance is your best guide. If you are a straight shooter and prefer to be safe than sorry, then grow your Twitter followers completely organically with the help of a platform like Agorapulse. Organic growth is all about hands-on genuine engagement, beneficial to all parties involved – you, people you follow, people you want to be followed by, and their Twitter followers. That’s how my current Twitter account, @AnaTrafficCafe, was built. You are all for marketing on Twitter, but putting all your eggs into organic Twitter engagement basket?… No, thank you very much; you’ve got a business to run. Dip your toes into a bit of a gray area with some automation without overdoing it. Where’s the line between being reasonably safe from Twitter’s iron fist and ‘overdoing it’? Sorry, that’s a question for the Magic 8 Ball… ?? You like to get things done – yesterday. Your objective is to cast as wide of a Twitter net as you can, bring your Twitter followers back to your site, and engage with them on your own turf and terms. I believe that building an audience on a third-party platform is one of the riskiest things a website owner can do. Sooner or later, those platforms hang you out to dry. Once you turn your social media followers into your website fans, email list subscribers, customers, then by all means, solidify those relationships on social media all you want. Back when I was an online nobody, I nailed this process – I created the perfect, if I may say so myself ?, ‘from social media to website’ funnel… buuuuuut I am getting ahead of myself. TweetAttacksPro is like Tweet Adder… on steroids. TweetAttacksPro is a piece of downloadable software, compatible with both Windows and Mac. The list of TweetAttacksPro features is impressive, to say the least. Verify those accounts automatically using an email or phone number. Or… you can choose to use Twitter API to run your accounts. Target Twitter users by keywords, other users’ followers, list imports, and more. AUTO follow ? those users. AUTO unfollow users defined by various criteria. Schedule tweets and delete old tweets. @mention users in your tweets. Auto retweet by keywords and other criteria. Favorite tweets, as well as reply to tweets. Add/edit/manage your frequently used messages, tweets, comments, and more. Use dedicated proxies to protect your account from being banned. …and this list doesn’t even scratch the surface. * Allows you to bypass Twitter API limits and restrictions. However, doesn’t mean whatsoever you aren’t breaking Twitter rules. ?? Why do I like TweetAttacksPro that much? TweetAttacksPro allows you to fine-tune your Twitter strategy like no other Twitter tool. I love the fact you can run it independent of Twitter API. That means Twitter can’t just cut off TweetAttacksPro, like it did with ManageFlitter. TweetAttacksPro also works well for all shades of gray – people who are comfortable with Gray Hat Twitter marketing and Blackhatters alike. Don’t use ANY follow/unfollow automation tool on your primary Twitter account – the one that you’d absolutely hate to lose. Grow that one as organically as you can. Use Agorapulse to help you, that’s it.  Back when I started Traffic Generation Café, I quickly took it from an unknown blog to top 18,000 global sites according to Alexa.com… in 4 months. then perfected the entire process to the point where it took me 20-30 minutes a day to continue driving loads of Twitter traffic. Five, to be precise. Multiple Twitter accounts are completely within Twitter rules, IF they are substantially different and you don’t crosspost between them – meaning, don’t post the same tweets across those accounts. Why create multiple accounts? To multiply the number of Twitter followers you can target at the same time. I used TweetAdder back then. This was a must – there was no way I could’ve done this by hand. Search for TARGETED potential Twitter followers. Don’t skip this step – you can’t sell a burger to a vegetarian! Start following Twitter users on a daily basis. While closely watching Twitter limits, of course. I also avoided full automation. Send new Twitter followers a killer DM message. Tweet valuable to your followers content. I use Agorapulse to help me make this seemingly overwhelming task a LOT more manageable. Monitor @mentions, thank people when they share your content, share others’ content MORE than you share your own. Be present, be human. As a result of this Twitter traffic strategy ‘a la Ana‘, I got thousands of new website visitors every month – without the overwhelm. Of course, it didn’t go without a glitch. I had a couple of accounts shut down by Twitter. However, I knew the risks, accepted them, and didn’t cry much about the lost accounts. The website traffic I received as a result far outweighed the downsides of being a gray hatter. No guts, no glory! Here’s another bonus for you: my exact follow/unfollow pattern I used back then. The first number is what I called a peaceful takeover, the second one is more of a hostile (aggressive) one. Let your comfort zone be your guide. Getting Twitter followers will never be as easy as it once was, true. However, armed with the best Twitter tool of your choice, plus common sense, I believe you’ll do well. Twitter can be an incredible traffic generator (it’s always been for Traffic Generation Café). Now, it’s your turn to figure out how to make it work for YOU. Have fun storming Twitter! ?? Hi Ana, this is a fantastic article – thanks so much! I had been using ManageFlitter for about 7 years and have found myself kind of running on the spot since it’s demise. I’m going to give Tweepi a spin – I’ll let you know how it goes! Hey, Tony – so glad you found the post of help! And yes, please, do give me an update on how you like Tweepi. great post Ana. I recently use tweetjukebox and statusbrew for my twitter tools. my follower base is grown quite well and i have to say i will be re-activating my other twitter account. in the meant time whats the actual process you follow for twitter blog traffic? Thanks for mentioning the tools, Andy; will make the effort to check them out. My Twitter strategy has changed over time, as you can imagine. My initial Twitter strategy was pretty great though; thanks to Twitter traffic, TrafficGenerationCafe.com quickly made it to the list of the most popular blogs at the time. A bit complicated to explain in a comment; might have to write a post about it. I was using Tweepi before but it doesn’t allow unfollow again, thank for sharing. I am still in search of the perfect tool to replace Tweet Adder. If you find anything you love, let me know! Yes, but I can’t get it at all. I wanted to use the manual features described in your video. I’ll let you know if I find anything ? Have you tried Recuweb.me a twitter monitoring and automation platform? I haven’t, but will take a look, Rafa. Glad to hear it, Bahee. Very useful post. I liked most Tweepi.com , will give it a try. today I’m using buffer or Buzzbandle. So many tools – old ones get shut down, new ones pop up… Let me know what you think of Tweepi, James. Yes, the option you have recommended that the people that are not following you back are not interested in you is really true. And we should unfollow them quickly. Glad that I found this post, but it also scares me a bit. I created a new Twitter account a week ago and I was looking into various automation tools, but now I’m no longer sure if it’s a good idea to use any of those tools. I did a bit of research and I learned that people’s accounts got shut down although they added only 20-30 followers per day – this doesn’t really sound a lot. Also, some people claim that certain tools are safer than others. I will take a closer look at TweetAdder. Twitter has become a difficult platform for marketers, Robert – I’ve had my accounts shut down without using any software at all. If someone like you who provides so much value gets shut down… I’m really wondering if it’s still worth putting too much effort on Twitter marketing. Jeremy Shoemaker said he no longer recommends Twitter for marketing purposes and he would rather focus on Facebook. Thanks Anna for your evaluation… very useful. I agree the proxy is very valuable. I also looked at all the other options, and apart from those you mention, I thought the above was the only possible option… but I may be missing something. Interested to hear more from any others too. And thanks for their comments too. I definitely won’t be spending $300 on software of unknown origins, Stuart… Let’s see if anyone else around here has ever heard about it/used it. It says that the business has to be on twitter. This social media is an effective way to introduce your products/services to others. I do believe that active many followers can be convert most of the times to become customers. So, if this tool can help us to get twitter followers it’s good to use this stuff. Any business has to be where its customers are, Dave – naturally. It can be anything from Twitter to Facebook to G+. Ana, don’t you think using these tools to follow so many people will flood your account with lots of posts and you may not be able to see important tweets of your related brand? It’s a good point, Carol, and it’ll happen whether you use any tools or not. The trick is to build lists to make sure you follow people we want/need to follow. UGH! Thanks for the great write up though. Oh yes…though I’ve known all of these three Twitter tools from before but I’ve gone in for Tweepi because it does do wonders for being a free tool. Yes, they have a paid version too, but never tried that one out. Tweepi really is pretty amazing, Harleena, especially for a free tool. By the way, after the uproar about TweetAdder’s “Upgrade”, I dont expect them to start grinding their remaining customers for a monthly fee anytime soon…or lose what they have left! I think it would be foolish of them to do. Hi thanks for your comprehensive post. I too have been a very satisfied user of TA3 for many years and have gotten astounding results using it in terms of quality and quantity followers. I’m using TA4 now with an auto clicker, which works but isn’t the “set it and forget it” option I need as I send hundreds to a thousand follows and unfollows a day on my big accounts. I’ve been actively researching alternatives since I found out this day was coming in April, and I haven’t been satisfied with anything I’ve found. One of my big hangups is that I am on a Mac, and I want a solution to run natively on my system. All of the other ones people are talking abouot (TweetDemon/TweetAttacks etc) are all PC programs. I’ve been talking to a developer to build me the exact tool I need, which is an add-on to the new Tweet Adder that replicates the automated functions. If anyone’s interested in this Mac-only too, please get in touch with me. He’s trying to raise $500 to build it, but the more people who commit to it the lower the price will get. That said, I’m more than willing to invest $100 in a tool that gives me what I need on the scale I need it. I am on Mac as well, Tony, and have the same limitations. I’ve been using Tweet Adder for around 24 months and while I still love the automated tweets, I’ve had nothing but hassle when it comes to logging in for the last 2 years!!! I’m no ‘tech-head’ and refuse to spend any more time on this issue. No matter how many updates, no matter how many times I uninstall and re-install, it takes me THREE ATTEMPTS to log in! It’s like three is the magical number that finally allows me to access Tweet Adder. Sorry to hear that, Gareth. Not sure if I have the magic Tweet Adder touch, but I’ve never had trouble logging in. The internet and the major players who make up it’s fabric continue not to disappoint! The changes keep coming be they from Twitter, Facebook, Google or even government pushing legislation to collect sales tax on internet purchases! Here again as the internet and all it’s major players continue to evolve so must we! I HATE it as most do, but who cares … now once again I need to accept change or be ‘run down’ by it! Thanks Ana for offering all of us a ready made plan backed by your research and experience to adapt to these changes! You got it, TJ; thanks for coming by! 4. I feel a little bit overwhelmed by the information. This post and the way you are doing things reminds me of a knight in armour or better like Rambo carrying a huge load of automatic weapons. You are using your guns one buy one, shooting in all directions, covering every square inch of the field until nobody, absolutely nobody remains alive. I must say I have never met someone like you. On the one side value, on the other side power, anxiety, sufferings. This is the image you give to us. Thank you very much for this valuable post and excuse me for being maybe to sincere. Thanks for the compliment, Silviu. I never purchased Tweet Adder when it was really popular a few years back. Okay, it probably still is but I went with a lesser known product and it fit my needs. In the beginning when I was building up my followers I did use that particular automated system but only followed 50 people a day. I will also admit that it’s really a hard thing to do, get quality followers through an automated method. Obviously you must be having a lot of luck in that area but I prefer just to add people as I come across them so I don’t have a lot of followers but I do have mostly quality ones at best. I can understand Twitter coming out with this rule because there are just so many people who are here for the wrong reasons now. It makes it more difficult for the rest of us but oh well. Just another rule that’s changed so we’ll just deal with this one too. Thanks for these great tips. I always appreciate how detailed you are in your posts. There are certainly plenty of people who can give any product a bad reputation by (ab)using it to their advantage, Adrienne; you are so right about that. I can definitely see advantages to building Twitter followers organically; it just takes a long time, of course. Curious: which Twitter tool are you referring to? Sorry I’m late getting back by here Ana, I’ve been out of town. Okay, I have Tweet Whistle which isn’t as advanced but will do a lot of what Tweet Adder will. It’s a simple program which is really what I like. No worries, Adrienne; completely understand. Haven’t heard of Tweet Whistle; will check it out – thanks! Tweet Adder is my favourite Twitter tool, because of it’s schedule Tweet feature, which allows me to interact with my followers even while i’m away or travelling. You are very welcome, Suryabhan. Hi Anna, this post is really helpful for me since I am struggling with finding a suitable tool for attract more followers to my twitter. I really like that you show us both pros and cons of each product. Keep on sharing. I too was a bit disappointed at Tweet Adder’s loss of features but as you said it is Twitter new TOS so we just have to roll with it. But in all honesty the Tweepi service which I never heard of til now sounds like it can do pretty much what I would need anyway plus it is free! It’s definitely a great service, Caleb. Tweet adder has made my life a lot easier…It’s amazingly convenient and simple to use..I think Twitter needs to loosen up its policies on API..Else lot of creative tools will not reach the Twitter audience. I must admit I did not that Twitter had changed those rules. I have never really got into Twitter. I set up a couple of accounts for my niche because I kept reading that Twitter would bring you traffic but I never found it did. It may be of course that I was not using it the right way or that I never really learned to use it to my advantage. Some marketers/coaches say they use it more for building relationships with other marketers than for traffic. Now that Google is placing more emphasis on social signals for ranking sites I think it’s worth taking a more serious look at it. Your insights are a great help. I used to drive a LOT of traffic from Twitter, Sandy – especially when I ran up to 5 accounts with Tweet Adder. Now that I am much more restricted time-wise, my Twitter traffic has dropped significantly. It’s definitely worth the effort, but it is a lot of work. Amazing tips! to be honest im totally new to tweetadder, i guess im gonna try it soon. Getting targeted followers is very important to drive the traffic to our blog or some business strategies. Not really a fan of automating twitter too. I use hootsuite to send out my tweets on a certain time of the day. I do check my twitter profile to see if there are tweets sent to me, I try to reply to each one as possible. It shows that I care, time consuming? Yes, but definitely worth it for me. Thanks for the share in Bizsugar! There’s only that much we can do for our businesses before we run out of time, Teepu, right? I am all for the right kind of automation. Well a neatly doesn’t trick to add more and more followers. I wasn’t knowing about any apps yet which can do this so simply. Ana – I use tweet adder, and you are right – it’s been wonderful. I use it very slowly to add followers. But, no more – I will have to add this to my VA to do. Tweet adder did imply that they are going to do membership style in the future for licenses – so it will be going up in price. I was wondering what the new style would look like – of course they really didn’t tell you on the email announcing the update, so it was hard to tell. Thanks for the update Ana! Like you I avoid monthly suscriptions like the plague. Looks like my VA will have one more thing to do now that Tweetadder has changed – hopefully it will at least result in higher quality follows. Interested to know – How will you manage the changes? You can’t get thousands of followers in a couple of days with any of these tools; not any longer anyway. Sometimes sticking with what we know and are comfortable with is the best way to go, Jason. SocialBro though? I’ve taken a look at it and, for the price, there are much better options available. Even free Tweepi might work better. I’m now looking for a long time for a automated twitter tool. I was not sure if it’s worth the money or not. This post really helps me to make a decision.